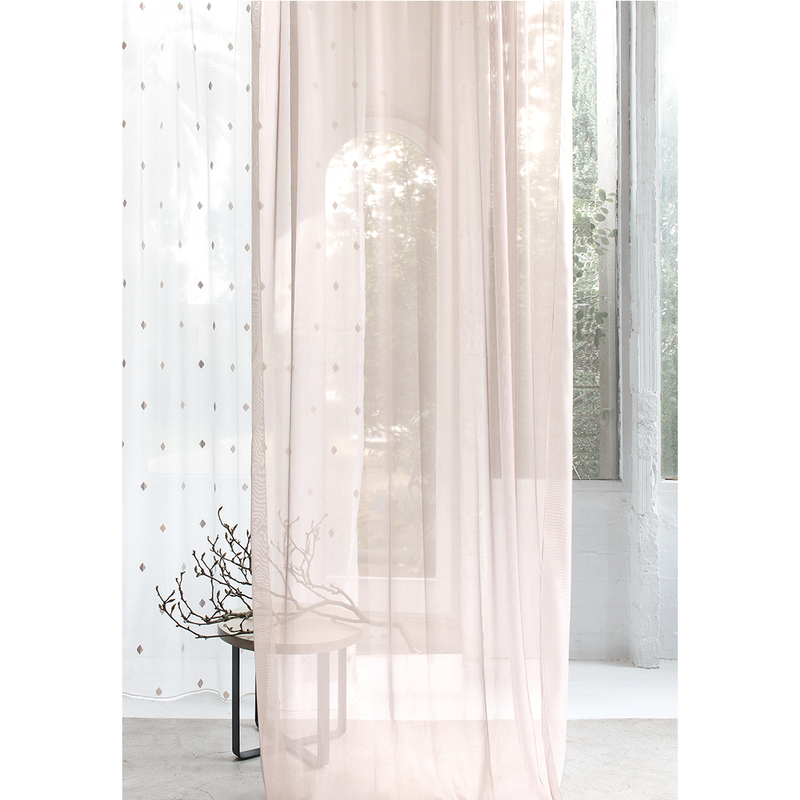 Is there anything more dreamy and romantic than floor to ceiling sheer curtains floating in the summer breeze? Sheers add a layer of soft texture to your décor, and because of their lightweight appearance they won’t overpower your interior. At FR-One you find a range of curtain fabrics: from voile curtains to net curtains to make your room stylish and beautiful. Curtains are installed for many reasons: as a decorative element, to diffuse incoming light, for sound absorption, temperature control, or to add an element of privacy to the room. 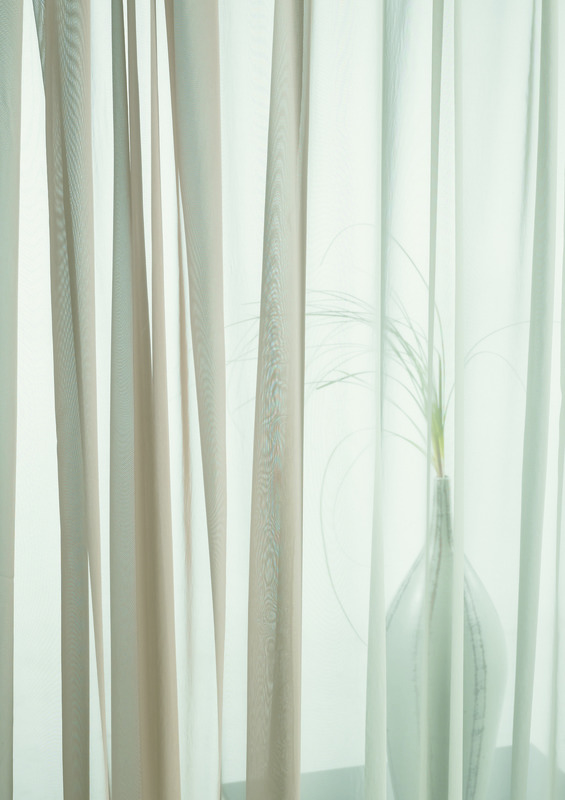 Sheer curtains are the perfect decorative solution to diffuse the outside light. A sheer curtain is made of translucent fabric. 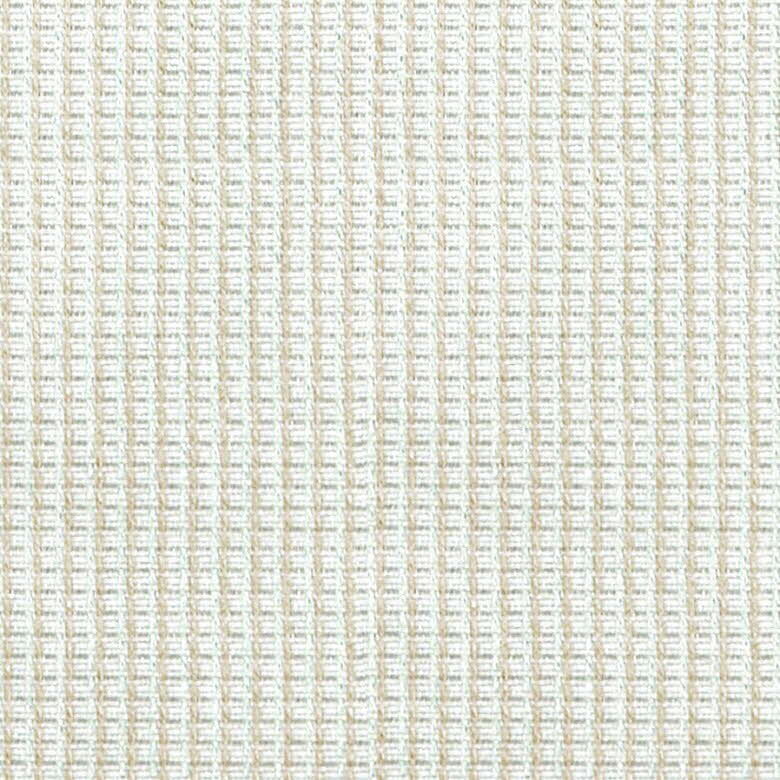 These are loosely woven yarns that have the ability to filter light in a subtle way while providing an airy feel. With its semi-transparent character, this window treatment dissipates views from outside maintaining a level of privacy without losing outward visibility through your window. Sheer curtains can be used on their own, or in combination with heavier curtains, creating an extra layer for soft infusion of light. 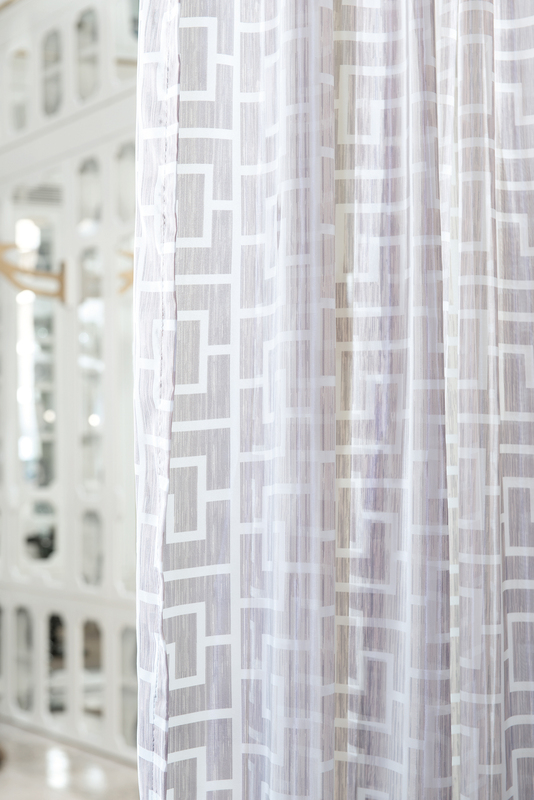 FR-One sheer curtains come in plain, textured, and patterned designs. 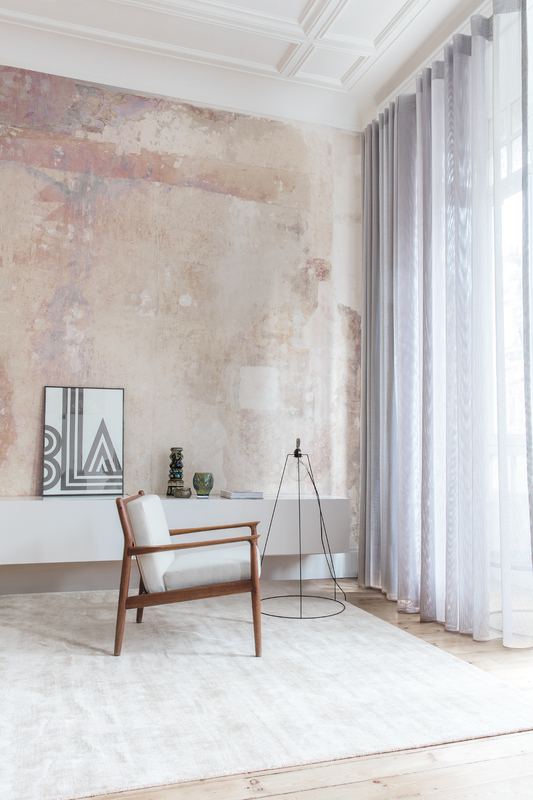 FR-One’s Ghazal collection has a selection of different designs: refined subtle mesh qualities, beautiful handwoven hessian hemp looks, and silk-like heavier denier weaves. 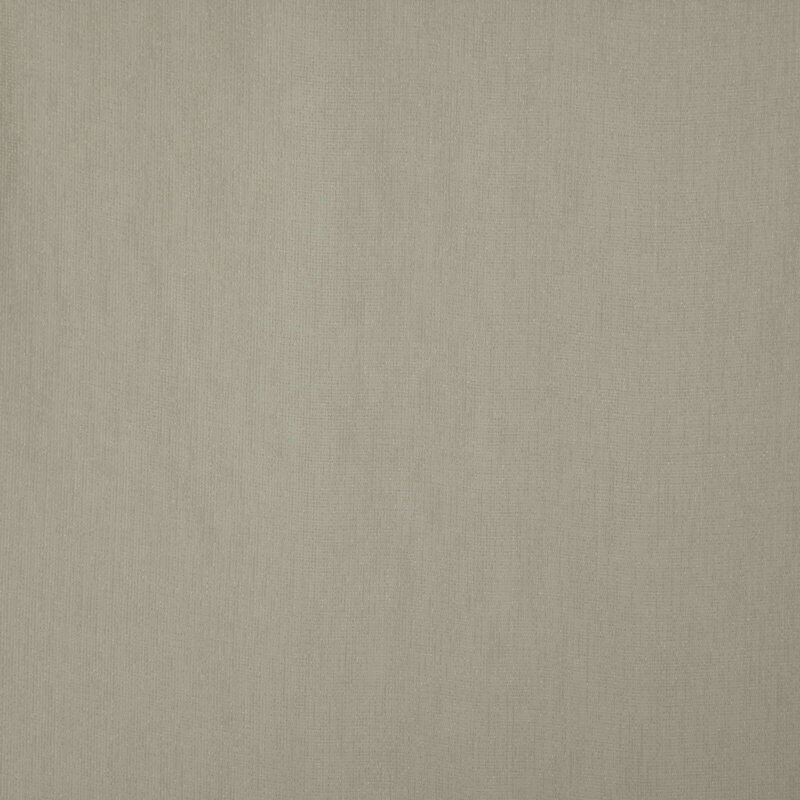 With its on-trend neutral color palette and exquisite drape quality, the Ghazal collection offers sophisticated window treatments. 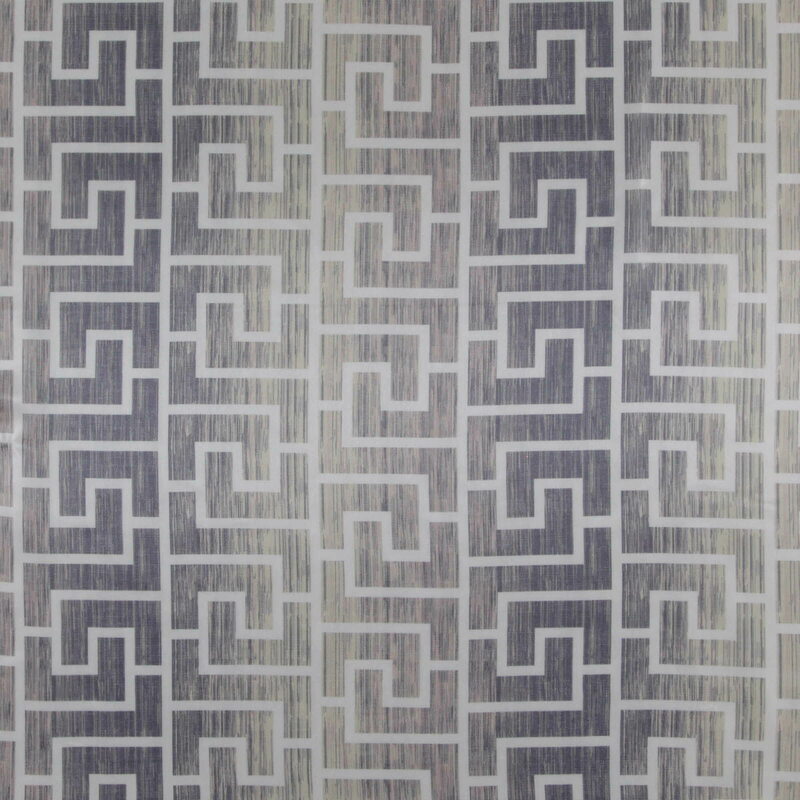 Our Voila & Volare collection presents a series of strong superb stripes. 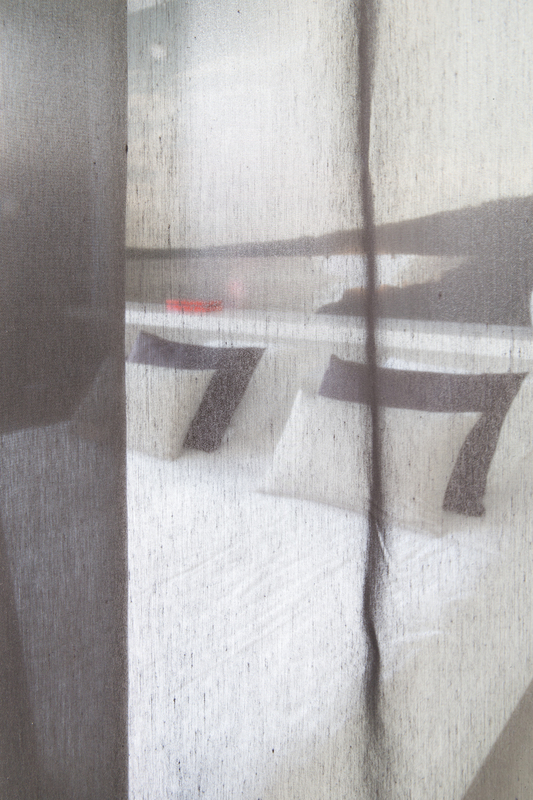 These clipped sheer fabrics allow an ethereal light to filter into the room. Clipped sheer – also known as “fil coupé” – is a special weaving technique where excess yarns at the reverse of the design are cut away, producing a subtle frayed look. The architectural element in the fabric provides contemporary visual interest and texture. Patterned sheers are supremely elegant and add a decorative character to the design. The FR-One Millennium range is a go-to collection that combines a subtle beauty with fascinating motifs. Discover the smart serpentine stripes in ‘morvill’ design, the stunning Grecian maze pattern from ‘mendi’, and our ‘mulberry’ design with shot effect that gives depth and reverberation to the sheer. FR-One Inherently Flame Retardant sheer fabrics are available in stylish colour palettes and will dress every window style with finesse and elegance, while surpassing the demands of every contract project.